That is gorgeous!!!! Drop dead gorgeous!!!!! Thanks. It was so simple but effective. You really can not beat a good log cabin. way to finish up you slacker 😉 Lovely work,Cath! I know. I know. I also have 4 PMQG Charity quilts that need finishing. I am hoping to sip those out to some helpful long armers. Too much to do so little time! You’re right, that IKEA fabric is a winner. And doesn’t it feel good to get another piece of fabric out of the stash? I am in the process of trying to organize my stash and I was extra thrilled to be using my IKEA fabric as it is so hard to fold like the other fabric because it is so wide. 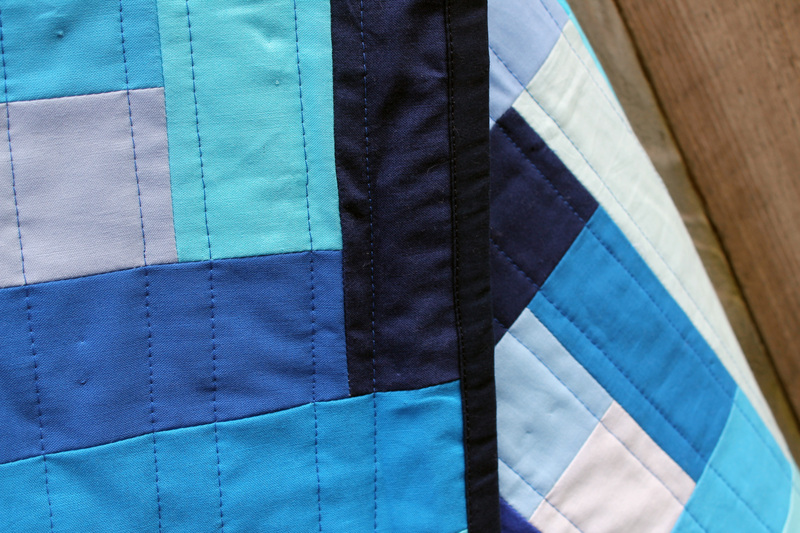 I am now striving to get more fabric gone…which means more quilts finished! So pretty! I just love it!!!! Great color choices! 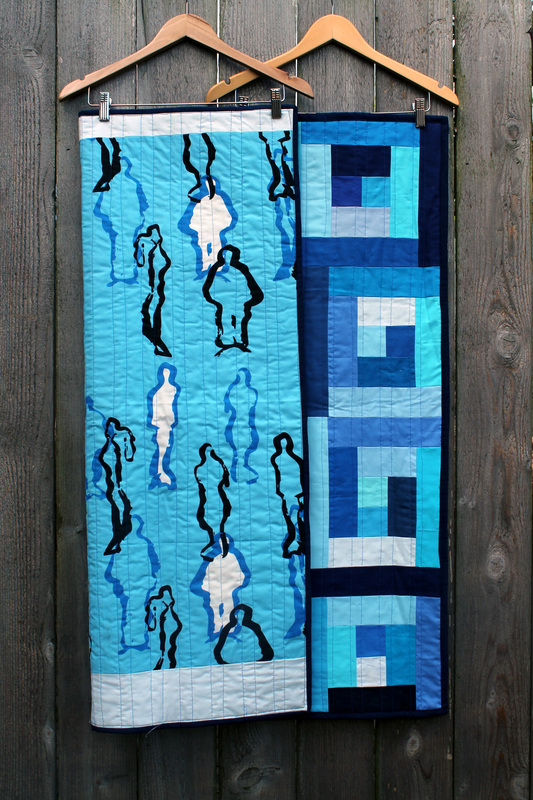 Yay for the finish and double yay for a charity quilt. great! backing fabric for this quilt. 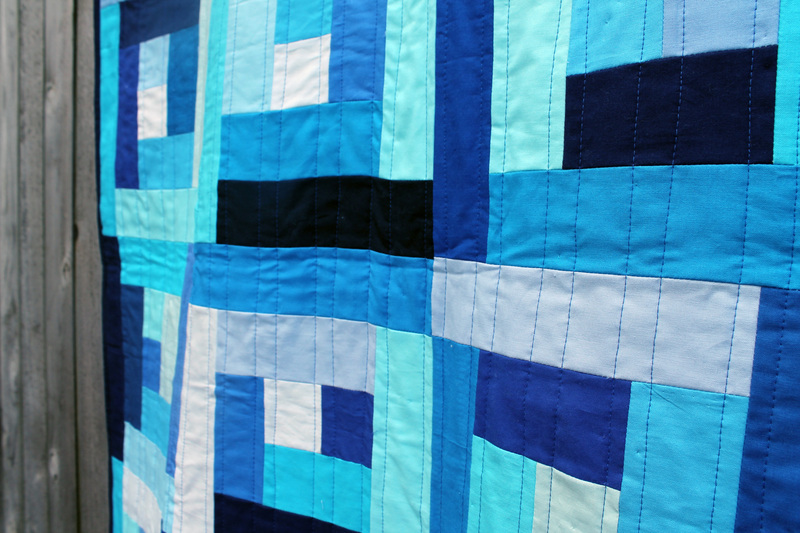 i love beautiful quilts made with leftovers from another project – i feel like they are extra special. I agree. I am loving what you have done with the Flying Geese left overs. Too much fun. 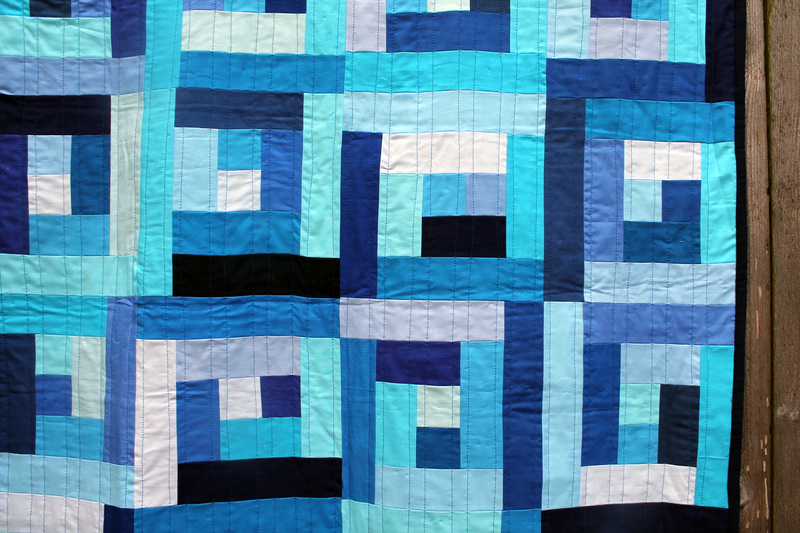 Super quilt. I love the backing. A wonderful finish – love those blues! This is beautiful! I don’t think I could ever whip up a quilt top fast! Haha. The Ikea fabric is perfect for the back! The lucky child who gets this quilt. It’s very happy. 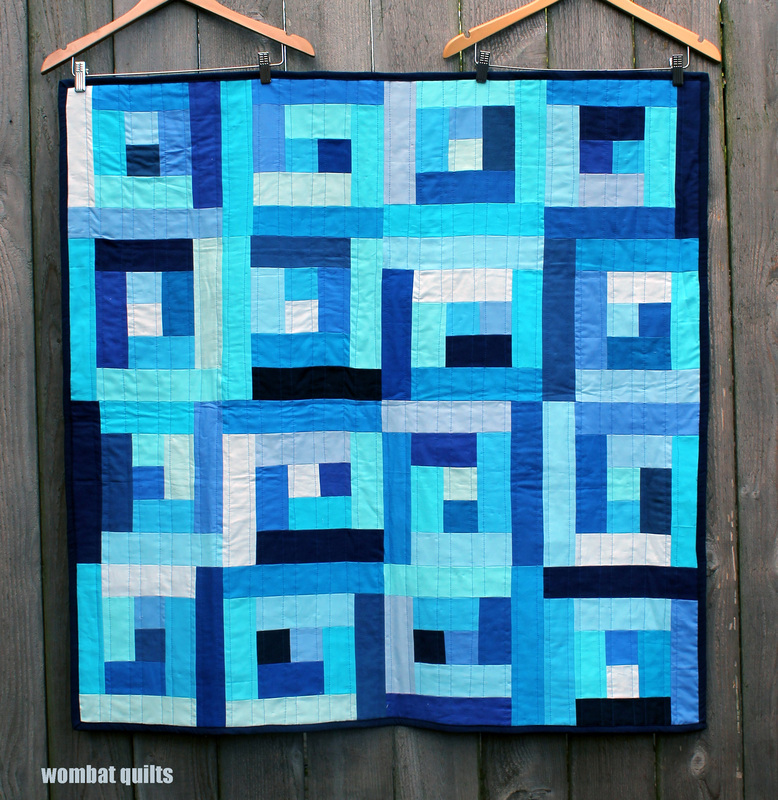 Love the colors and the quilting! That backing fabric is awesome! This a beautiful! The back fabric is indeed perfect!! Love love love the colors1 And the backing is perfect! Great job.